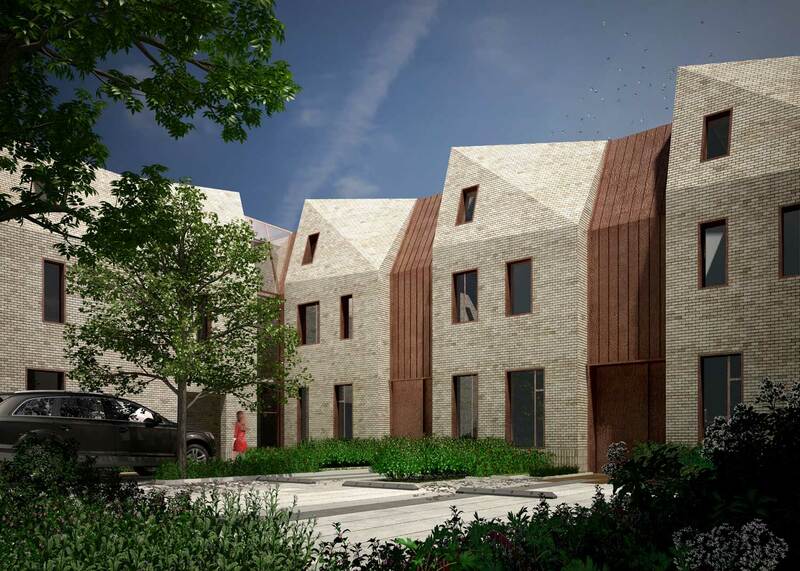 OAOA has been awarded its first London project, a housing scheme located in a conservation area in Ealing. Inglis Road aims to provide 21 new homes with associated landscaping. The housing types range from 1 and 2 bedroom flats to semi-detached single family dwellings. 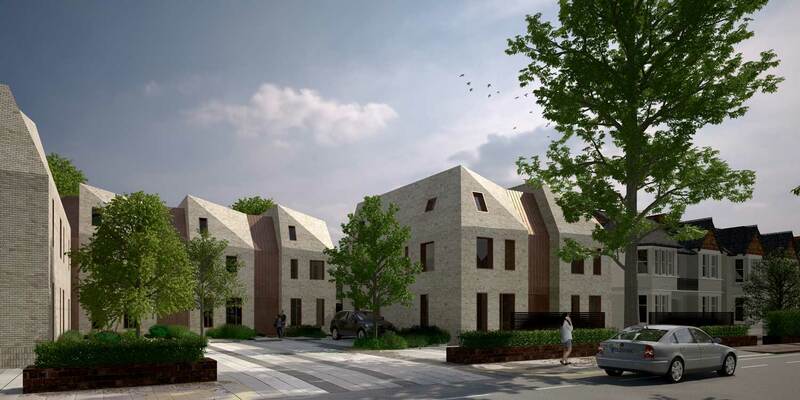 The use of oblique folds reduces the overall mass of the building and also creates the illusion of pitched roofs, which is in keeping with the surrounding neighbourhood. This allows for comfortable living space to be maintained across all floors. Using existing contextual characteristics, the pitch and recessed entrance continue the rhythm of Inglis Road ending the street appropriately while creating a dynamic volume that offers a unique characteristic to the neighbourhood.